Dios bendiga tu cumpleaños! Que tus sueños se conviertan en realidad. Translation: We wish you a blessed birthday! May your dreams become reality. ¡Ojalá! 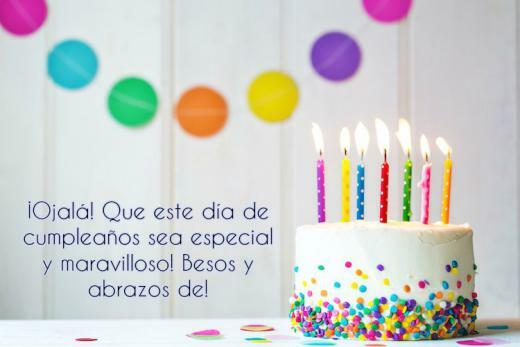 Que este día de cumpleaños sea especial y maravilloso! Besos y abrazos de! Translation: Oh! may this so special birthday be wonderful. Kisses and hugs! ¡No hay nadie como tu! Deseo que todos tus sueños se conviertan/hagan realidad. Translation: There is no one like you! I wish that all your dreams come true. Translation: We would like to send you our congratulations. Much happiness! Translation: Birthday greetings! We hope you have a great day with all your friends and family. ¡Feliz cumpleaños! En un dia tan especial como este, te deseo que tengas suerte, felicidad, y que se cumplan todos tus deseos. Translation: Happy Birthday! In a day so special like this, I wish you good luck, lot of happiness, all your wishes come true. 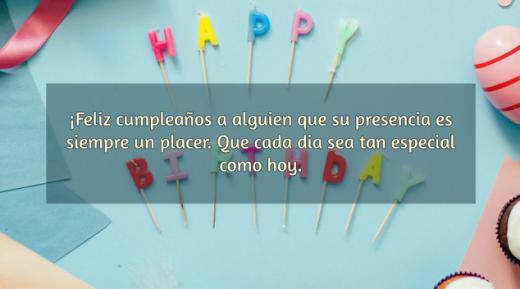 Translation: Happy Birthday to someone whose presence is always pleasing. May each day be as special as today. Translation: May God bless you on your birthday. We all send our love. ¡Felices años! Que te diviertas un montón. Translation: Happy Birthday! I hope you have a blast. Birthdays are definitely one of the most special events in one’s life. It’s actually a reminder that you reach another milestone in your life. And, there are several ways to celebrate this significant day such as having dinner together with your family and friends, going out for a party, feeding an orphanage and more. Birthdays, whatever ways you celebrate it, is a beautiful day for you to pause and think about your life and your blessings. Not all people are blessed with numerous birthdays; some leave the superficial world way too early. Accordingly, when one reaches another birthday in his lifetime, it entails a chapter of life that exudes different kinds of emotions, mostly positive ones like happiness, excitement, and gratefulness. Special occasions, like birthdays, keeps life more interesting. For some, it allows them to set aside the stress and boredom, and celebrate the goodness of life, even for once. So, if you know someone who is celebrating his birthday today, greet them in a unique way. The language of love on birthdays is not just limited to English! 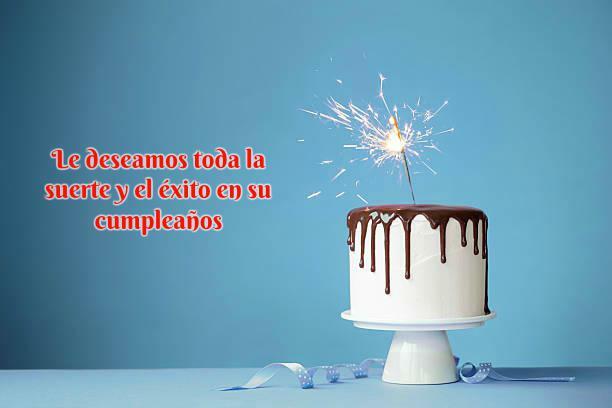 Here are some birthday wishes in Spanish that will really have the birthday celebrant search for its meaning.